I have a sister, her name is Beatriz and she is 4 years younger than me and she did not develop the same passion for cooking as I did growing up. But she is recently trying to cook and sometimes she calls me on whatsupp from Sao Paulo to ask for ideas or how to do certain steps in her recipes. I’m so proud of her for finally trying! 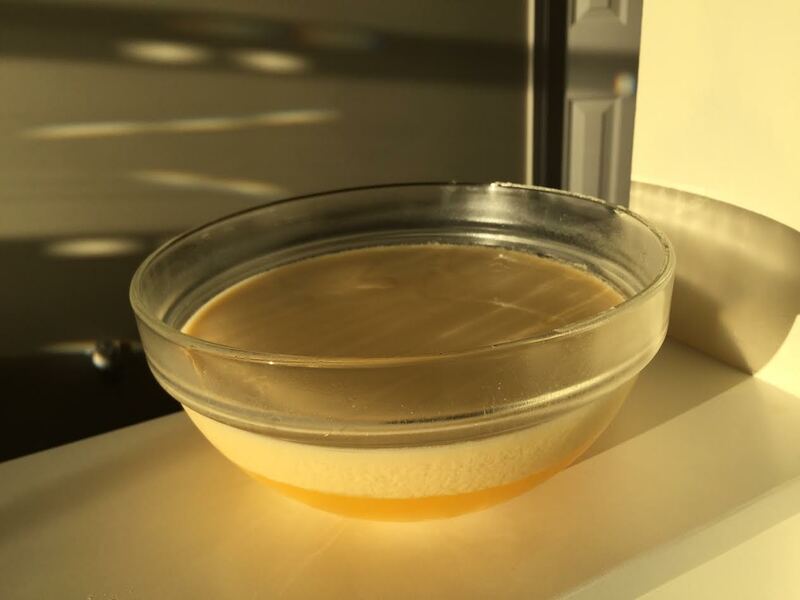 But of course we should not abuse of her good will and when you are inexperienced the best is to find recipes that you can apply in easy steps and in the end you can have good results, that will boost your Self-Esteem and you will keep trying it. 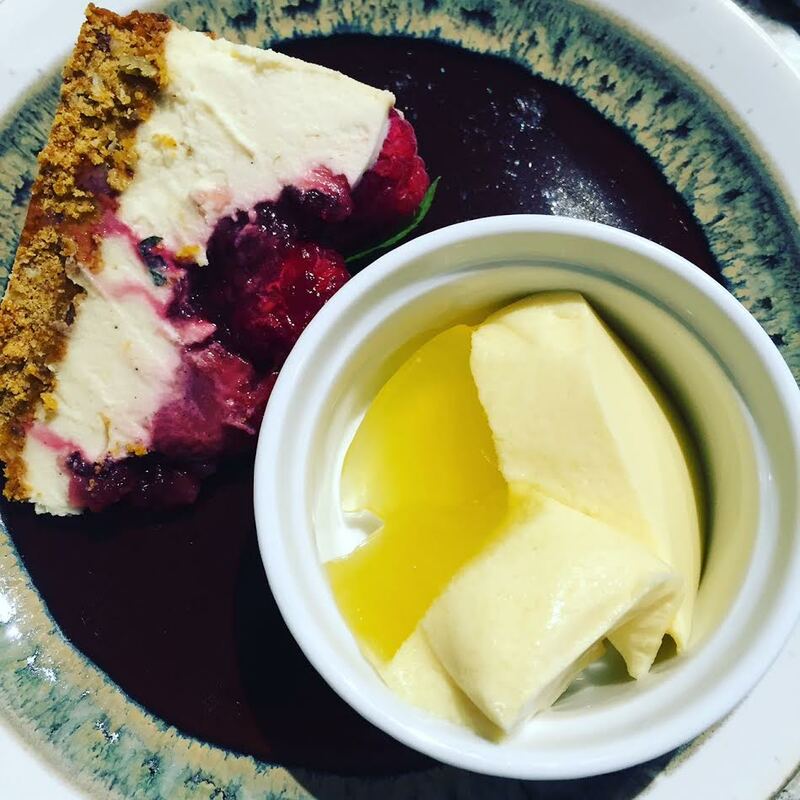 This recipe I invented by chance I would call 5 minutes dessert, It is Dairy and gluten free what makes easy for any meal specially when you’re in a rush or when you find out during lunch break that you will receive friends for dinner and if you ‘re like me you rather spend your time on the main course meal. 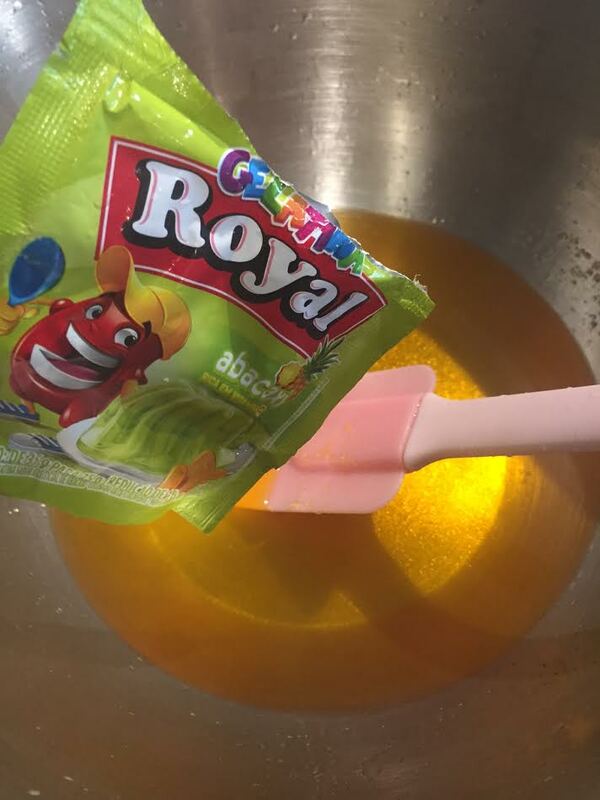 Just dissolve the 2 packages of jello powder in 1/2 cup of boiling water, mix well with a spoon. 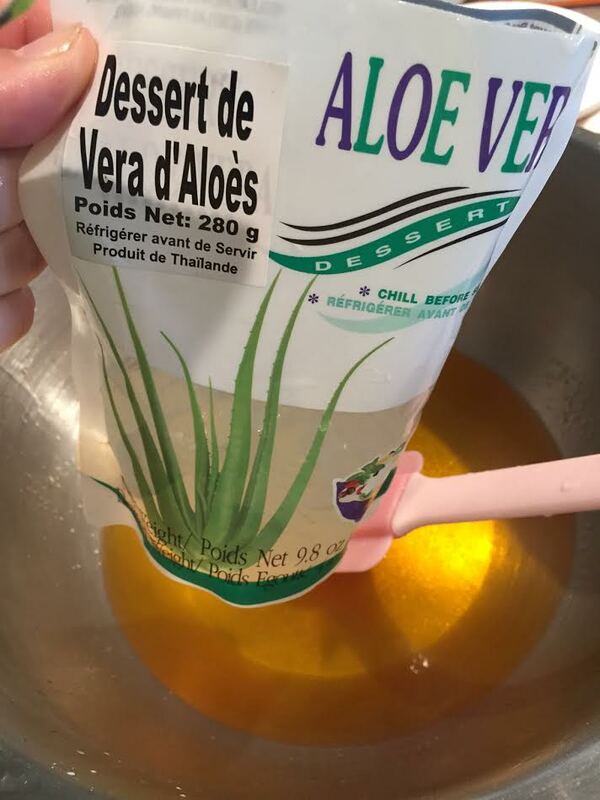 In a measure cup for 2 Cups add the liquid content of the Aloe vera dessert and keep the aloe squares separate for later than complete the rest of the measuring cup with coconut milk, until you see that marked down 2 cups. 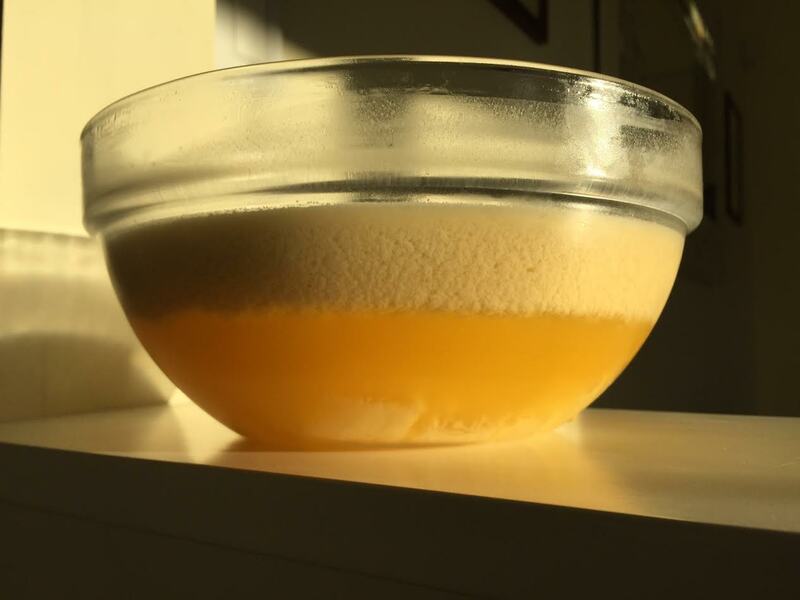 Than add this mixture in a blender plus the jello dissolved in water, add the agave syrup and mix in the blender for one minute. 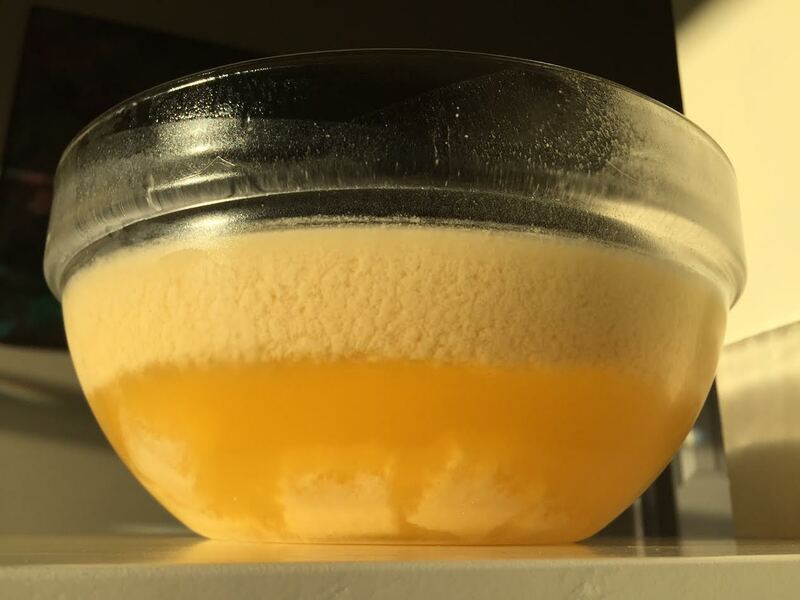 The recipe is almost done, I used a glass circular shape to put the liquid only because I wanted to take photos, but for this recipe is better to use a rectangular shape container, could be ceramic, glass or plastic. 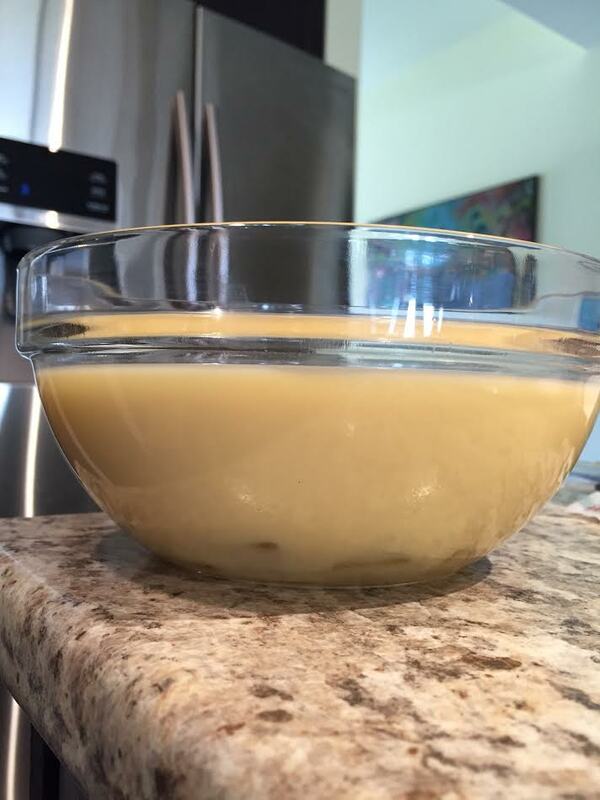 Once you pour the liquid there add the aloe vera squares that you separated. 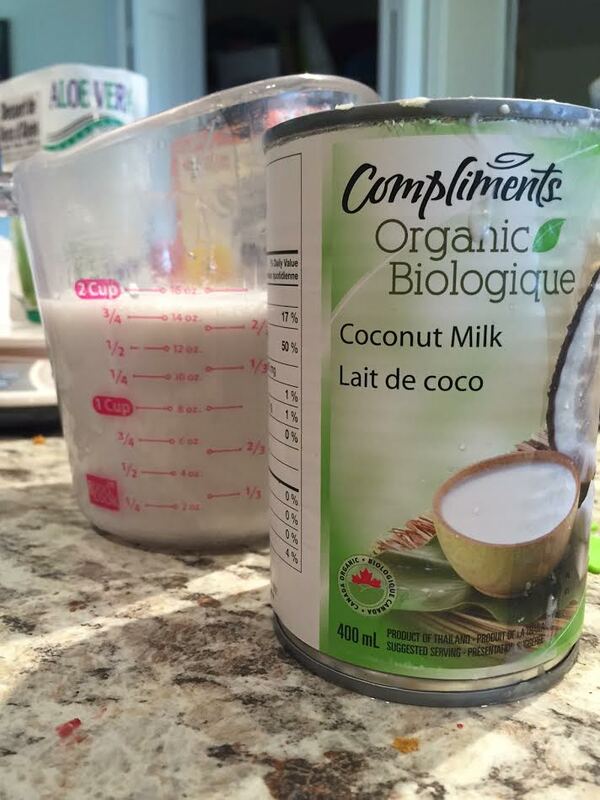 In case you are in Brazil and you cannot find the aloe vera dessert , if you want to do as an ” adult dessert” add to the blender mixture 1/4 cup of vodka/cachaca, the honey instead of agave and 1/2 tea spoon of rose water than complete the measuring cup with coconut milk, as much you have the same amount of liquid would be fine. If you don’t want the alcohol just put hot water. Here are some photos to explain the steps, Good lucky!